We have gathered together some information and links to websites and other professional experts which we hope you will find useful. You get Child Benefit if you’re responsible for a child under 16 (or under 20 if they stay in approved education or training). Only one person can get Child Benefit for a child. Turn2us is a national charity that helps people in financial hardship to gain access to welfare benefits, charitable grants and support services. We do this through our website, helpline, and also by providing training workshops to our partners so they can provide face-to-face advice using our online tools. We also give direct financial support through a number of charitable funds, including the Elizabeth Finn Fund and the Edinburgh Trust. You could be missing out on financial help available to you through welfare benefits or grants. Our free and easy-to-use Benefits Calculator and Grants Search tools can help you check what you might be able to claim or apply for. Find out if you qualify for tax credits. It takes about 5 minutes to use this service. If it looks like you qualify, you can order a tax credits claim form. You’ll need a rough idea of your income (before tax and National Insurance is taken off) for the tax years 2015 to 2016 and 2016 to 2017. With four pension schemes now in operation, Armed Forces Pensions have never been more complex. We help our Members through the pension maze and campaign against injustices in the system as we did when winning the right of all widows to retain their pension on remarriage. The Pensions Advisory Service has been around for 32 years. Over these years, we have been helping people with their questions and issues about their workplace, personal and stakeholder pension schemes. Our service is offered on the phone, through live webchat, self-service online and through written enquiries. We are also a delivery partner for the new Pension Wise service set up by HM Government, providing free and impartial pre-booked telephone appointments. Cafcass represents children in family court cases. We make sure that children’s voices are heard and decisions are taken in their best interests. We are independent of the Courts, social services, education and health authorities and all similar agencies. Cafcass stands for Children and Family Court Advisory and Support Service. If you get divorced or end your civil partnership, the court can look at your additional State Pension as a financial asset. This is money you have coming in, which can be shared by what is called a pension sharing order. This means part of your additional State Pension can be shared with a previous spouse or civil partner. This includes State Pension top up. Use this service to find contact details for your own workplace or personal pension scheme, someone else’s scheme if you have their permission or are trying find a lost pension. A State Pension statement will give you an estimate of how much State Pension you may get when you reach State Pension age. The estimate will be based on your National Insurance contribution record as it stands on the date the statement is produced. She has worked for over 9 years within the NHS, Mediation Services and her own Private Practice. Working in these various environments has helped Ashley to develop a unique and effective model of practice. She works with parents who are struggling to see a way forward that is respectful collaborative. It has been recognised that the effect of deep-set parental conflict on children is extremely detrimental to their psychological and emotional wellbeing and that the children’s primary concern is usually about how well their parents get on with each other. Ashley offers parents an opportunity to come to their own collaborative agreements where they both feel heard and appreciated. When parents find a supportive way of working together post-separation, they help their children to feel more secure, thereby reducing their anxiety and distress. 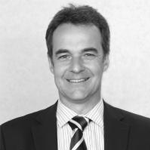 Stewart joined Tilney in 2008 and has 20 years financial services experience. He is a Chartered Financial Planner, Fellow of the Personal Finance Society, STEP Affiliate Member and holds advanced qualifications in Taxation and Trusts; and Pension Funding. Key Focus – He advises high net worth clients and specialises in financial planning in divorce, being an Affiliate Member of Resolution. David is a Financial Adviser at AHB Saltus, having merged Andrews Hammond Brady, where he was a Director, with Saltus Financial Planning in 2016. He provides pension advice specialising in retirement planning, the pension aspects of divorce and corporate pensions and employee benefits. Prior to founding Andrews Hammond Brady in 2004, David has been a Financial Adviser in the Bournemouth area since the 1980s. David holds a Diploma in Financial Planning and is a Resolution accredited pension in divorce specialist. 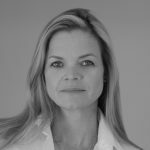 Calvin is a Financial Adviser at AHB Saltus, having merged Andrews Hammond Brady, where he was Managing Director, with Saltus Financial Planning in 2016. He specialises in providing advice around trusts and personal injury awards as well as pension sharing on divorce. Prior to founding Andrews Hammond Brady in 2004, Calvin has been a Financial Adviser for over 25 years. 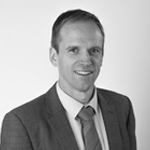 Calvin is a Chartered Financial Planner and an Associate of the Chartered Insurance Institute. He is also a STEP Associate and is a Resolution accredited divorce specialist.